The Marfan Foundation, in association with Emory Heart and Vascular Center, Sibley Heart Center Cardiology and Children's Healthcare of Atlanta, will hold its 33rd annual Marfan Conference from August 3 through 6. The conference brings together more than 600 individuals and families with Marfan syndrome and related disorders across the country and world. Marfan syndrome is a life-threatening genetic disorder of the body's connective tissue that affects the heart and blood vessels, the bones and the eyes. The syndrome impacts about one in 5,000 people, including men and women of all races and ethnic groups. The Marfan Foundation Conference opens with a patient health fair on August 3 and 4. 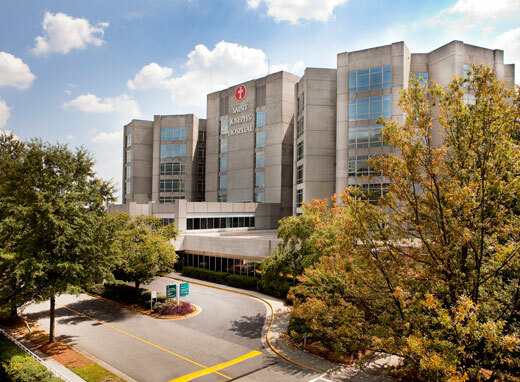 Physicians who specialize in diagnosing and treating the disorder will evaluate patients and provide medical screenings at Emory Heart and Vascular Center and Emory Eye Clinic at Emory Saint Joseph's Hospital as well as Sibley Heart Center and Children's Healthcare. Leading doctors and scientists from Johns Hopkins, New York Presbyterian, Stanford and other hospitals are also participating in the screenings and conference, and providing the most current medical information and research. While there is no cure for Marfan syndrome, it is often considered a medical success story because there are now improved treatments and surgeries to deal with the life-threatening medical problems it causes. Atlanta resident Hadley Gunn, age 10, was diagnosed with Marfan at six months old. She has vision issues, scoliosis (sleeps in a brace), high palate and flat feet. Most significantly, she has an enlarged aorta, and recently had mitral valve surgery. Hadley's medical situation emphasizes the importance of early diagnosis and treatment, because Marfan can be deadly if not properly diagnosed and treated. The most dangerous complication of Marfan syndrome is a tear or rupture of the aorta, causing sudden death. Bones are another part of the body affected by Marfan, causing patients to be very tall, thin and loose-jointed. Patients can also experience scoliosis, while others can be diagnosed by a dislocated lens, during an eye exam. During general conference sessions on August 5, medical presentations and a panel discussion led by researchers and physicians with special expertise in Marfan syndrome and related disorders will address a range of medical topics. Patients and families will also have the opportunity to learn strategies for improving their quality of life and have numerous opportunities to network with other people also living with Marfan and related disorders.